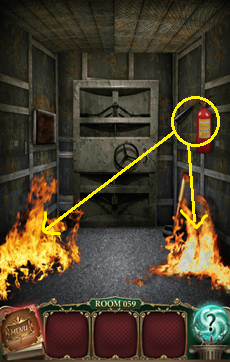 Take fire extinguisher and extinguish fires. Swipe finger on dirty panel on left wall until it's bright red. 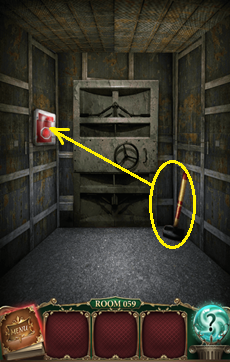 Pick up sledgehammer and break panel to reach button.